It’s that time of year again- OUR ANNIVERSARY! 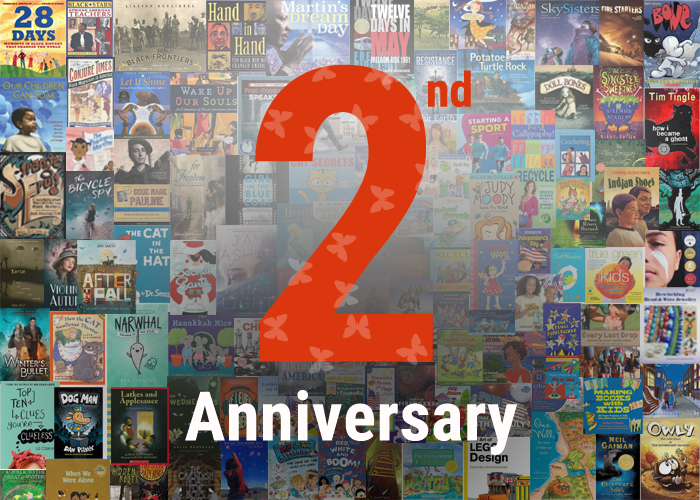 For the past two years it has been a joy sharing award lists, thematic reading lists, and author and illustrator interviews with you. Together we have solved mysteries, learned about new hobbies, traveled the world, met funny bears and remarkable human beings. We can’t wait to see who we will meet and where we will go together in year three! Want a sneak peek of what’s ahead? This year we have lined up interviews with more fascinating authors and more STEM reading lists. We’ll be providing you with even more interesting information and facts about books, authors and illustrators on our Read & Shine Facebook page. One of our goals this year is to spotlight some of our dedicated readers. Sharing your stories with others who care about children’s and YA literature is a great way to exchange grand ideas. If you, your library, or classroom is participating in a program or activity that is encouraging children to read more, we want to hear about it. Send your stories to readandshine@clcd.com. Thank you for subscribing to Read & Shine. Here’s to another year of extraordinary people, animals, settings, and journeys!